The Tourism Authority of Thailand (TAT) recently hosted a showcase of the Kingdom’s eclectic array of creative tourism products. 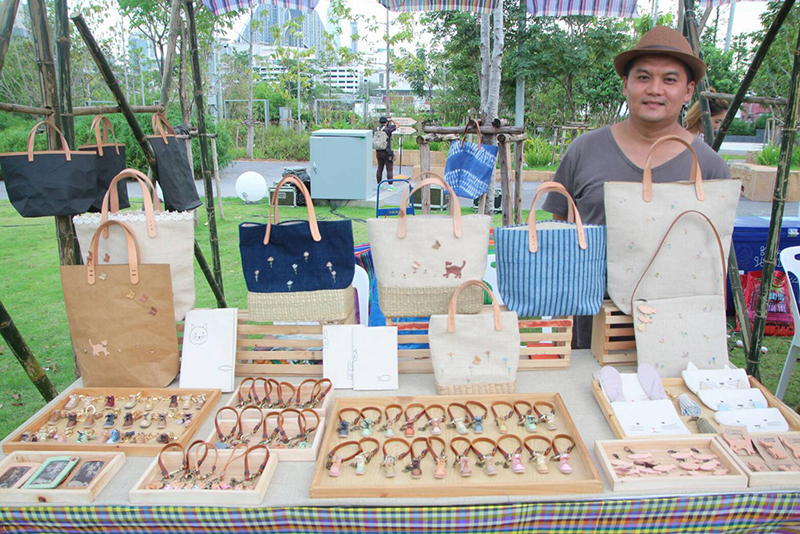 The Village Festival took place at Bangkok’s Chulalongkorn University Centenary Park in Bangkok with a vast range of goods featured at the festival, all of which are being produced by a new generation of talented Thai designers. According to Sujitra Jongchansitto, the TAT’s deputy governor for tourism products and business, the three-day festival was a taster for many more exciting events that will mark ‘Amazing Thailand Tourism Year 2018’ programme. “The event also reinforces TAT’s message to highlight unique Thai local experiences, encouraging to invest in promoting sustainable tourism development that ultimately benefits the local community,” she said. Visitors at the event had the chance to browse an array of food and drink stalls, plus stalls selling souvenirs, accessories, clothing, handicrafts and home furnishing accessories. There was also a ‘Chef Theatre’ presentation, at which three Thai celebrity chefs showed off their skills, making an innovative range of dishes using local produce. In addition, visitors were invited to attend an ‘Art Workshop – DIY’ class on how to make their own souvenirs, plus a ‘Village Inspire’ panel discussion by business entrepreneurs. There was also entertainment from a selection of Thai singers and celebrities. As well as providing an entertaining afternoon out for tourists exploring the city, the Village Festival also offered a golden opportunity for 20 finalists to showcase their entries for their creative tourism products in the ‘Thailand Local Tourism Design Awards 2017’. The new products were designed based on the concept of local culture in 30 communities in tourism centres across Thailand.